When best friends Erin, Bonnie and Lana ditched their corporate careers to start Three Birds Renovations, they were rookie renovators with big ideas. Today, with many incredible house transformations under their toolbelt, they're a power trio turning neighbourhood ugly ducklings into swans. If you lust over images of beautiful homes but feel stuck when it comes to your own space, these 'birds' have your back. The book is packed with gorgeous details from their projects, friendly words of encouragement and more than 400 reno tips to help you avoid budget blow-outs, manage trades and timelines, and style without stress. Whether you're starting small or going all-in with a whole-home reno, this is destined to become one of the most useful books you own. Best friends for 15 years, Lana, Erin and Bonnie have seen each other through all the ups and downs of life; meeting and marrying their husbands, starting families (they have nine beautiful children between them) and juggling busy careers. But in 2014, they took a leap of faith together, quit their jobs and created Three Birds Renovations in pursuit of a more fulfilling life - working for themselves, doing something they loved and with more family time. Within a few short months of starting out they had successfully bought, renovated and sold their first property. Fast-forward to today and the trio have transformed nine houses (including 32 bedrooms, 18 bathrooms and 11 kitchens), learned more than they ever could have imagined and poured all that hard-earned knowledge into their online renovation course, The Reno School. Thousands of Reno School students are now designing their homes using the 'birds' words of wisdom. Their energy, passion and vision have swept across Instagram and YouTube, turning the busy mums into social media sensations - their videos are now watched in over 110 countries and each new project graces the pages of Australia's leading home magazine titles. 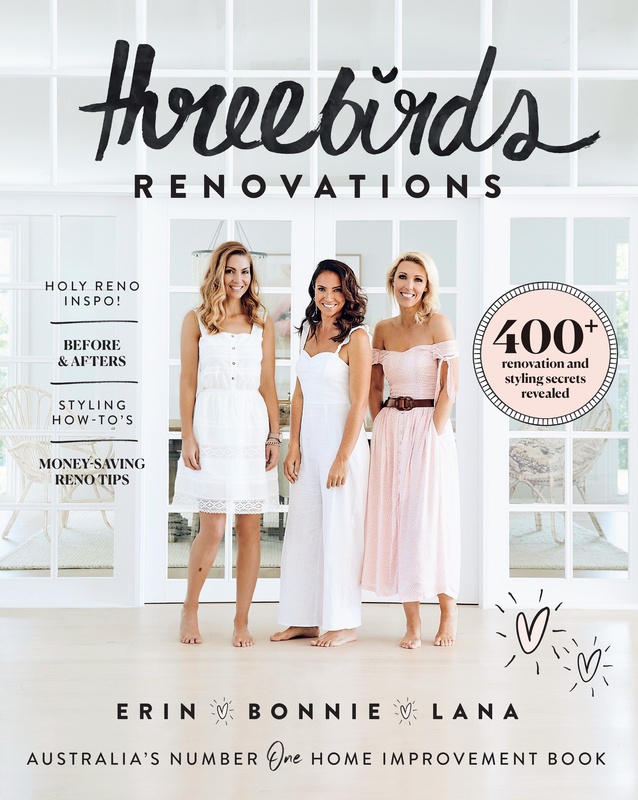 Their ever-increasing community of aspiring home renovators look to the Three Birds for their daily dose of reno inspo and helpful how-to's. Bonnie, Erin and Lana live, play and renovate in Sydney. This is their first book.